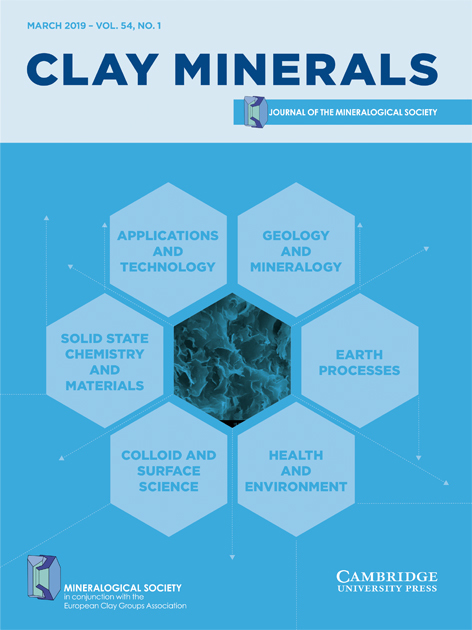 Clay Minerals is an international journal of mineral sciences, published four times a year, includes research papers about clays, clay minerals and related materials, natural or synthetic. 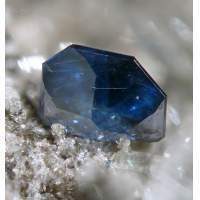 The journal includes papers on Earth processes, soil science, geology/mineralogy, chemistry/material science, colloid/surface science, applied science and technology and health/ environment topics. The journal has an international editorial board with members from fifteen countries. Clay Minerals is published online and in paper form. The online versions are available at Cambridge University Press and Geoscience World. (Since the start of 2018, the journal has been published by Cambridge University Press on behalf of the Society. The full journal archive is now available through CUP. All content from 2000 onwards is available from GSW. The older archive (1876-1999) is no longer available free of charge to all. Those interested in accessing that older content will need to be members of the Society or to arrange purchase of an institutional subscription via Cambridge University Press. Librarians, please note, a complimentary subscription to Elements magazine is supplied as part of your subscription to Clay Minerals. Also note that since 2013, the online version of Clay Minerals has included extra issues not available in paper form. Please visit the journal’s online sites (links above) to see the full content. The George Brown Lectures are published in Open Access form here. An index of all papers published in Clay Minerals from 1948–1997 (1014.23 KB) is available here.